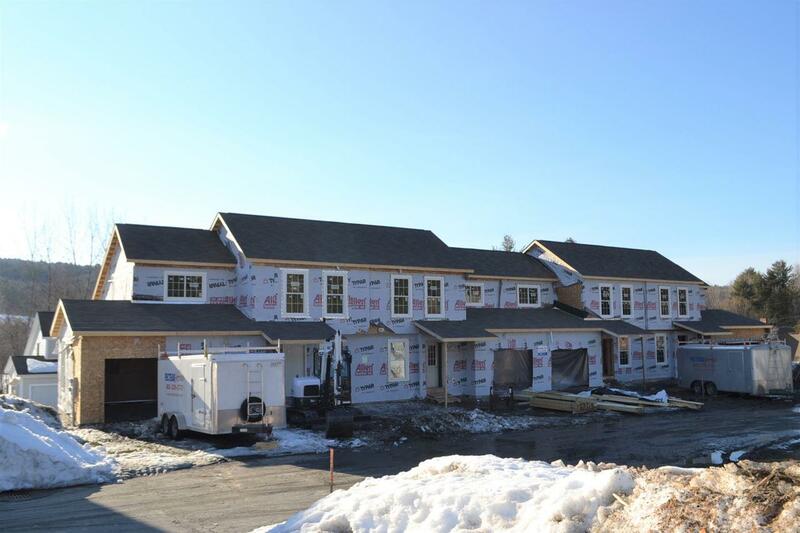 This new condominium home is currently being built with an attached one-car garage. Quality features include hardwood flooring, granite countertops in kitchen. The dining area opens to the living room with a vaulted ceiling. A sunroom is adjacent to the living room. A bedroom or den and .75 bathroom and laundry are on the main level as well. Upstairs there are two big bedrooms and a full bathroom. The walk-out lower level can easily be finished for additional living space and is rough plumbed for another bathroom. This home is heated with an ultra-efficient multi-zone hot water heating system. Lawn maintenance, snow removal, rubbish and recycling pickup, and master insurance policy are included by the Condominium Association. Seller is a Vermont licensed real estate broker. Courtesy of Timothy Heney of Heney Realtors/Montpelier.